The primary drivers of the Las Vegas economy are tourism, gaming, and conventions, which in turn feed the retail and restaurant sectors. Las Vegas' economic base continues to diversify into sectors such as manufacturing, distribution, wholesale trade, and construction. Nevada's favorable tax structure for individuals and corporations provides the impetus for corporate in-migration. While these sectors have emerged within Las Vegas, the area's driving force is, and will continue to be, tourism. Las Vegas normally enjoys high tourism levels year-round given its marketing as a tourist destination and desert-like climate. Demand is generally strongest during key weekends and special events. Las Vegas’ new National Hockey League franchise will play home games at the recently opened T-Mobile Arena. Plans for development of the stadium for the National Football League’s Oakland Raiders franchise continues to move ahead. In addition, many of the city’s iconic hotels and casinos have recently undergone renovations, and development continues on the Resorts World Las Vegas casino, which is scheduled to open in 2020, and other projects. 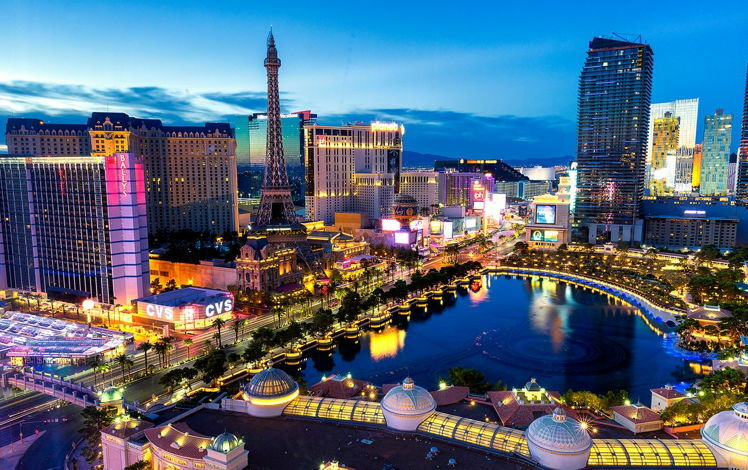 This article examines trends affecting the dynamics of the Las Vegas hospitality market.